Do you know where this place is? Well, the answer is in this post. 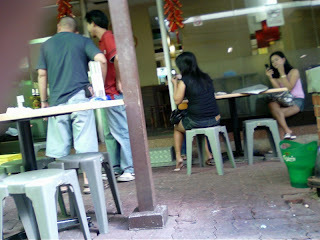 In the afternoon it is still very quiet but some women have returned to the hangout opposite the Lorong 20 coffee-shop. 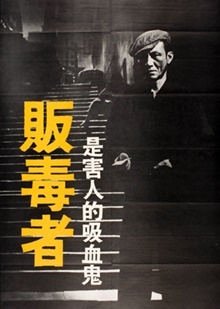 At night there is a slight increase in the number of streetwalkers. 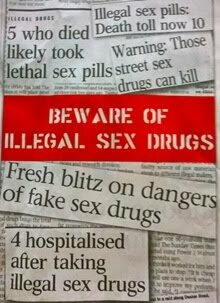 It could be due to fewer police raids. These women were at the backlane, junction of Lorong 14. I think they are not Chinese. A few weeks ago there was a TV programme about China women trying to 'engage' elderly men at a bus stop in Chinatown. At the bus stop, they do it subtly and are not offensive. If they speak to the men first and the men show no interest, they will move away. 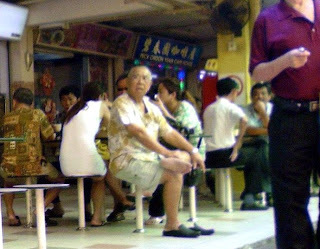 At the food centre behind the building, there are often middle-aged or older men sitting with China women. At one end was a beer-shop and there were women. 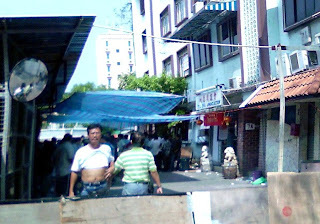 According to a man who is a regular at the food centre, they are Filipinos and their business comes from foreign seamen. The picture at the top of this post is this beer-shop, taken on a different day. If you like Filipino women, you can go to Paramount Shopping centre. 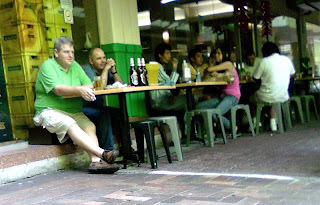 Many Filipinos are working in the bars and pubs there.